We inherited a difficult, sloping site with no existing garden, in a conservation area. 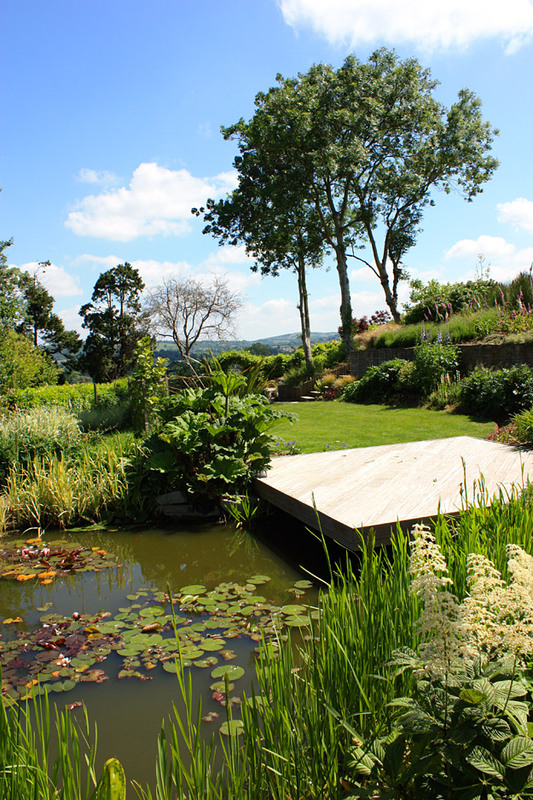 After carrying out a full professional survey, Jo came up with a design that included significant hard landscaping, including two long retaining walls, terrace areas and steps, two informal ponds, decking, a large lawn area and borders which blend with an existing mature woodland. There is also a greenhouse and vegetable garden. 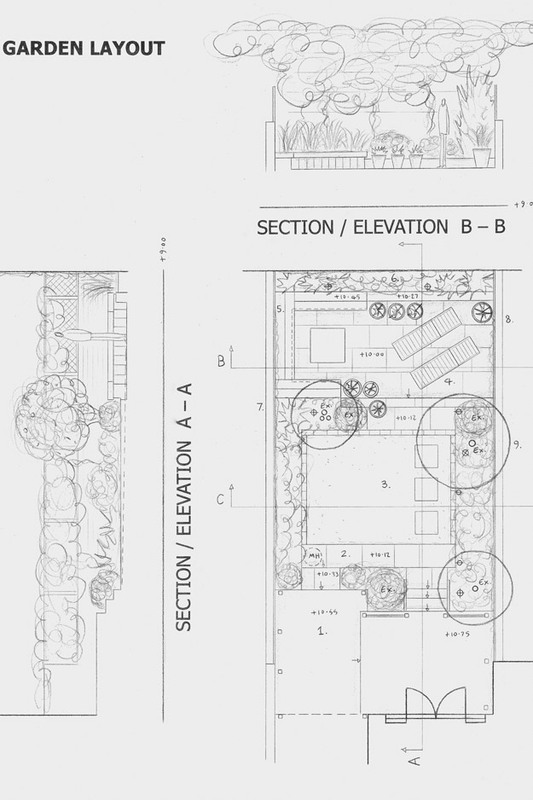 We implemented the hard landscaping (which worked flawlessly from the drawings and sections Jo provided) and asked Jo to provide planting plans for each of the six major areas, with a particular emphasis on being wildlife friendly. The garden has matured beautifully and we are still very happy with the result. We have made very few changes to the planting arrangement which has survived the attentions of the local deer and badgers. 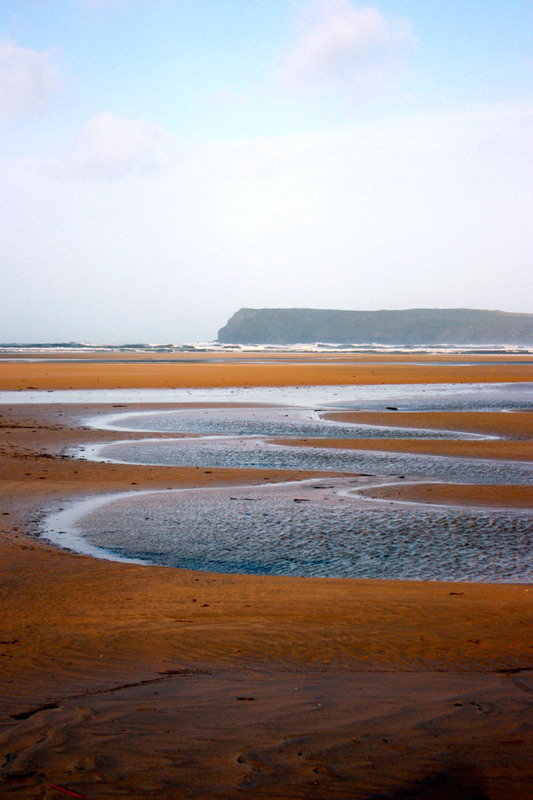 We have often remarked on how lucky we were to find someone like Jo with the imagination and experience to see how our site could be moulded to sit within the surrounding landscape so successfully, and yet still be mindful of the practicalities of the site and our day to day usage. Jo worked on a complete scheme for us including all aspects the hard landscaping and planting. Jo’s thoughtful and carefully considered approach, coupled with attentive listening to our requirements helped to ensure we got exactly what we were looking for. We live on a busy street and passers-by often remark on how pretty it is. 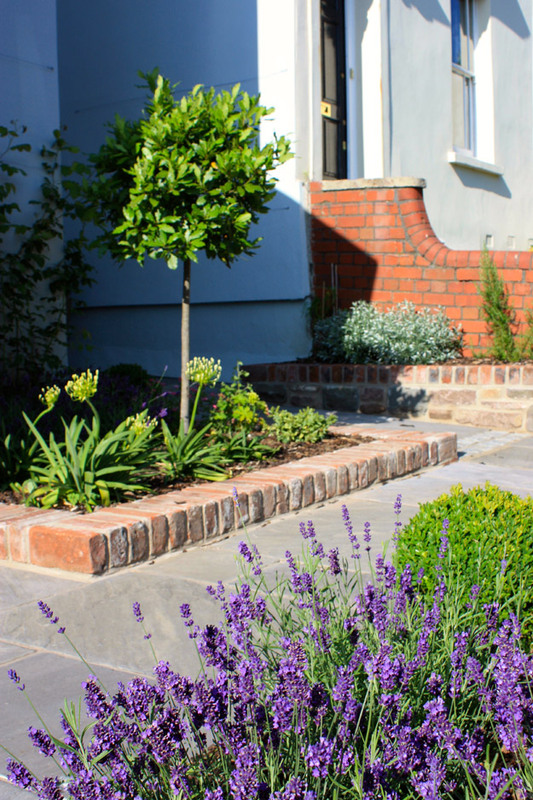 The garden has matured beautifully over the years, requiring little maintenance and was recently pictured in a local magazine as a great example of how to design an urban front garden. Jo designed the front and back gardens of our house and did a wonderfully creative job, taking into account some older landscaping and freshening up the whole look. I often get compliments on the front design from passers by. He combines practicality with skilful design that works very well. Jo was great to work with. He took our brief and created designs that perfectly suit us and the space. It has given us an extra room for our house and perhaps the one we enjoy the most. We really are so happy with both the back and front gardens. It was a pleasure to work with Jo on the design for our garden in Bath. 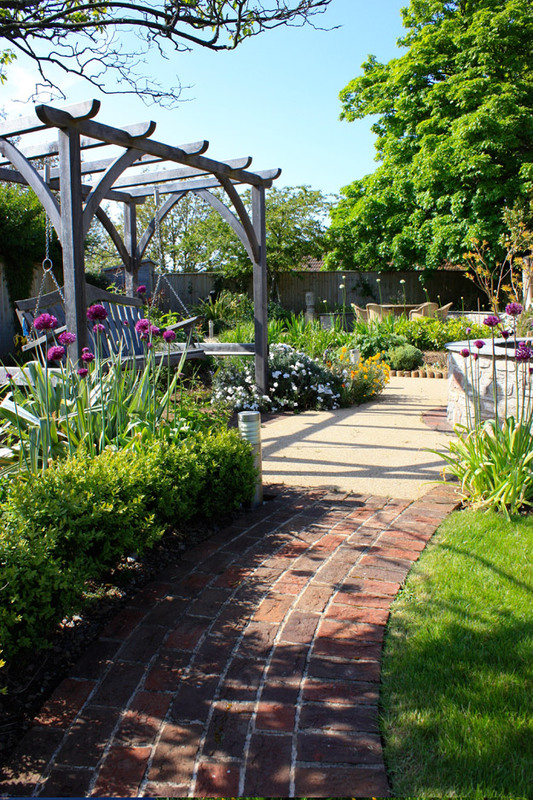 The results were incredible – we still get lots of compliments on how lovely the garden looks and the plants supplied were really good quality. All our shrubs and perennials are still strong and healthy after six years in the ground. We moved into a house that had a hill for a back garden and a small nondescript space at the front. We needed areas for three young kids, as well as some adult space and a place to park cars at the front (but not a car park!). Jo’s design is fantastic. The back garden is split into several zones with hard landscaping, a lovely decked area, a small water feature and importantly a level area for play. 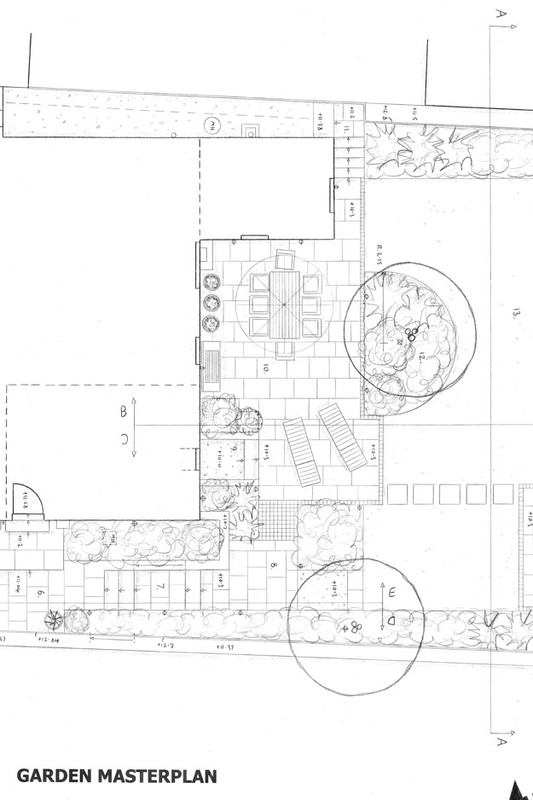 Jo’s design has embraced the contours of the garden and has seamlessly incorporated them into the layout. The front truly enhances the appearance of the house, with some great structured planting, a small area of grass and a parking area. The implementation was affordable as well. In addition to looking great, the design is practical and not overly demanding in terms of maintenance. In a nutshell, Jo listened to what we wanted and delivered beyond that brief. We were absolutely delighted with the design created by blueprint for our old watermill garden. 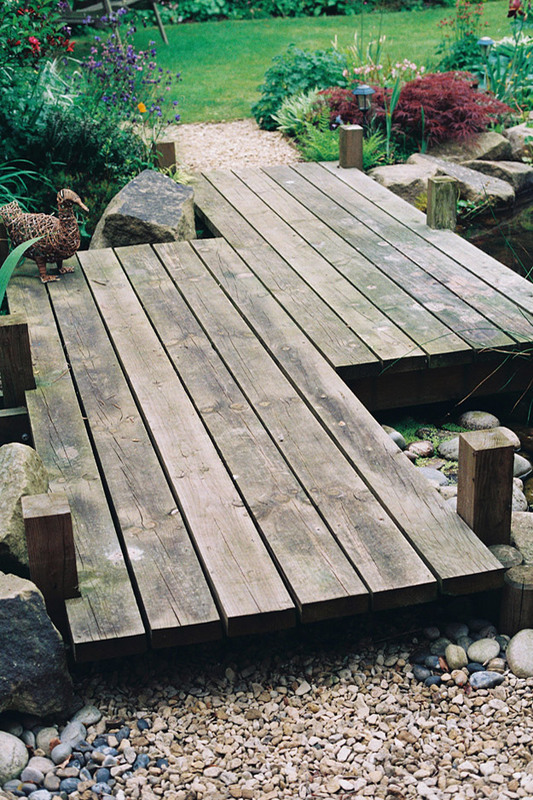 After completing the site survey Jo created a stunning design including seating areas in sunny spots in the garden, steps linking the different levels and a deck next to the mill stream. Jo also assisted us with the planting, choice of materials and implementation. We are delighted with the results and now have a beautiful garden we can enjoy with our family and friends. I first contacted blueprint to produce a landscape design and planting scheme for the gardens of the bungalow where my elderly parents were living. Both parents were in their late 80s with very limited mobility and were also suffering from Alzheimer’s Disease. Jo visited the site to discussed our needs and proposed a design that would encourage my parents to spend time outside and explore the garden .The designs he came up with were absolutely perfect. 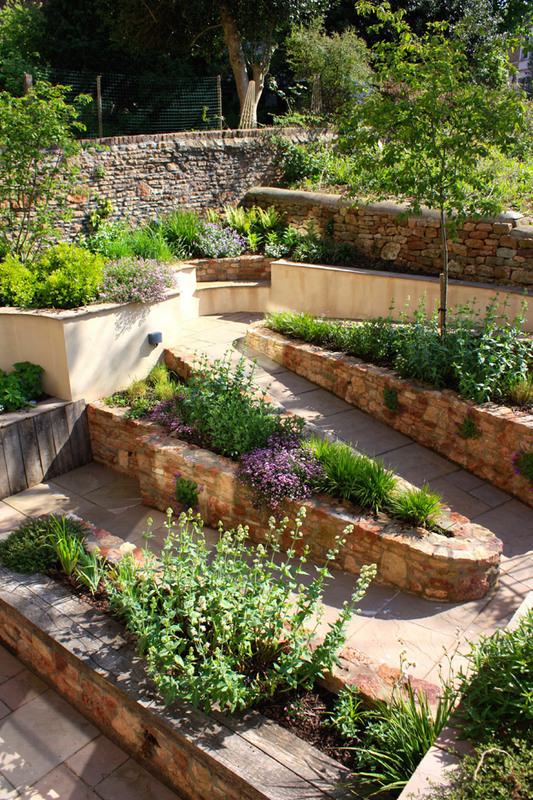 The back layout incorporated a number of interesting seating areas with different views and curved but level paths to provide access around the garden. It also included some of my mother’s own primitive sculptures. The planting was chosen to be bright and cheerful and included plants my parents would remember from the past. 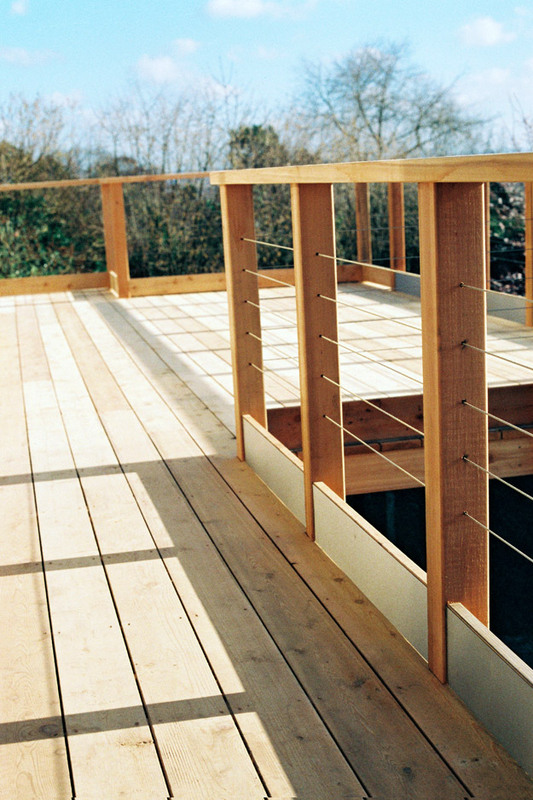 Movement and scent were also important features of the scheme. The designs for the front garden were equally appropriate, green and attractive with a pretty lawn, trees, flowerbeds and a further seating area, while including a driveway and turning area, It definitely improved the bungalow’s kerb appeal and made it look loved and welcoming. I feel the garden Jo designed for my parents massively improved their quality of life in their final years and I will always be very grateful for that. They gained a great deal of pleasure from the garden when both inside the bungalow and outside. My husband and I are currently living at the bungalow and still love the garden design. Even though our needs are a bit different, the garden still feels like a magical space, a great place to sit outside, share a meal with family or play with small grandchildren. Having worked very hard to refurbish our Victorian house we wanted an attractive garden to finish it all off. We had some ideas but needed guidance and we asked Jo to design a layout for the garden. What he produced was outstanding. We have even put up one of his drawings in our hallway leading to the garden. 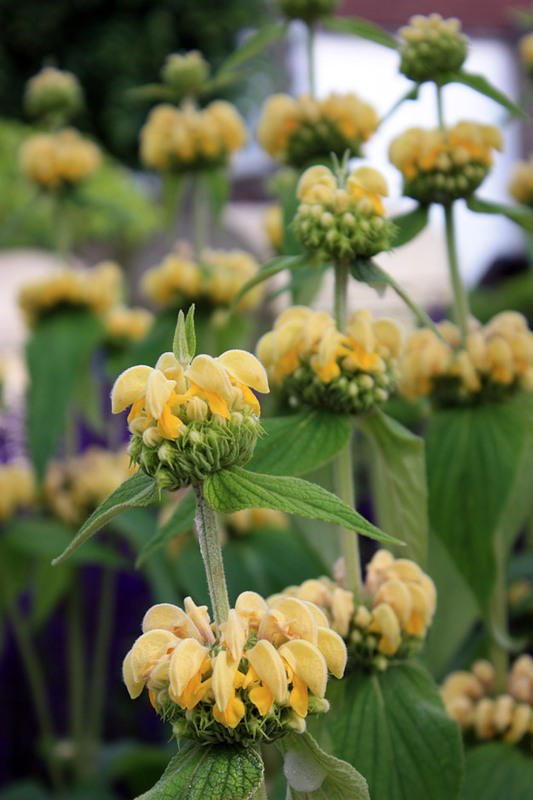 We also asked him to produce a planting plan as this was definitely an area of weakness on our part. We discussed our likes/dislikes in terms of colours, textures and really thought things through in great detail. We have ended up with a fantastic outdoor space. I cannot thank Jo enough for what he has produced and for helping us create our lovely garden. 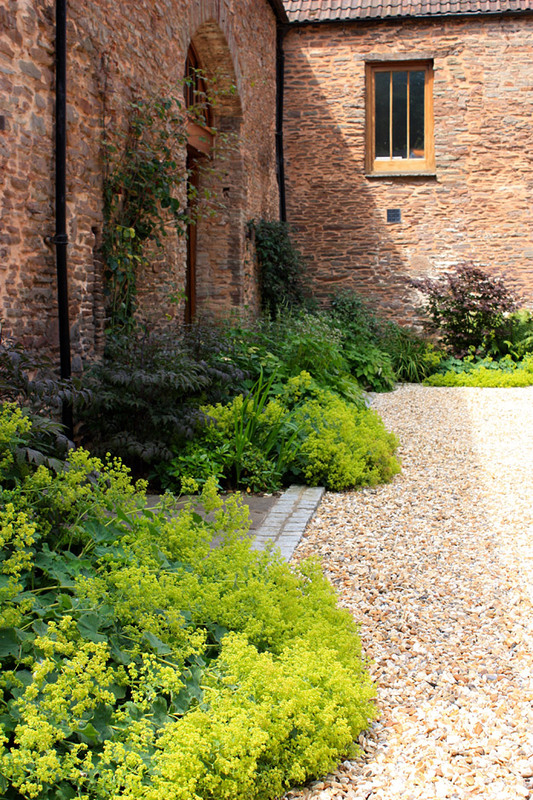 We had completed some major works to our house in Chew Magna which had left the garden in poor condition and devoid of any interesting features. Having tried, and failed, to produce a scheme on our own we decided to take expert advice and contacted Jo. We could not have been more pleased with the outcome. He interpreted our aspirations well and produced a series of imaginative options which were developed into a final scheme and duly implemented. The garden gave us a huge amount of pleasure for ten years and was a major element in achieving a rapid sale when we recently decided to move to a smaller house. Now our new garden is in need of a make-over and we have sought Jo’s assistance a second time. Again we are extremely pleased with the service provided and the design work produced. As yet we have not implemented it but have every intention of doing so. We would highly recommend Jo for any garden design projects. Jo was an inspiration in working with us on the complete transformation of our garden. The result far exceeded our expectations, it is a space that brings us joy every day and is used by the whole family. 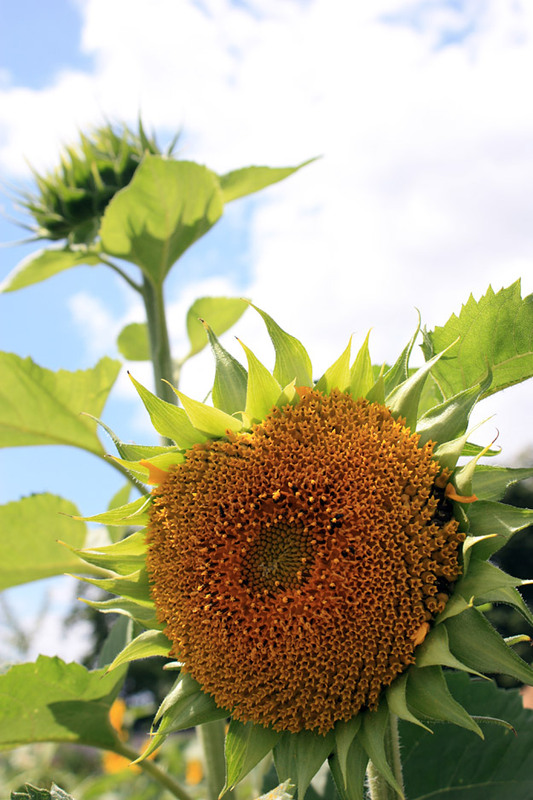 The garden is our haven and is coming into bloom again this year with a great flourish. Jo at blueprint design was absolutely brilliant. He took our ideas on board and persuaded us to make some changes that turned out to be the making of the garden. Everything in his design worked perfectly, the planting scheme, the shapes, the features and he also worked very well with the landscapers, making sure everything was built exactly accord-ing to the plan. He transformed the space and everyone who sees it is hugely impressed. I thought long and hard about whether to commission Blueprint Landscape Design to help us redesign our small back garden. We wanted to create a new patio and seating area from what had been lawn. It was a straight forward job and I wasn’t sure we really need a designer’s help to do this? However, I cannot tell you how glad I am that we invested in Jo’s help. He listened to and understood our brief and the carefully considered design interventions he proposed have transformed the whole look and feel of our garden. A small investment in good design has added so much value. I wouldn’t hesitate to recommend him. It was definitely money well spent. I recommended blueprint to both our daughters and also to my husband’s place of work and Jo has since designed gardens for all of them. Jo is particularly good at finding out and understanding each client’s needs and does not just impose standard designs. One of our daughter’s wanted a romantic design to compliment her Victorian house and Jo came up with a design that matched the planting to our daughter’s wedding bouquet, which we all thought was a lovely touch. Our other daughter wanted a more modern look in the back garden with play areas for children and a design for the small front garden. 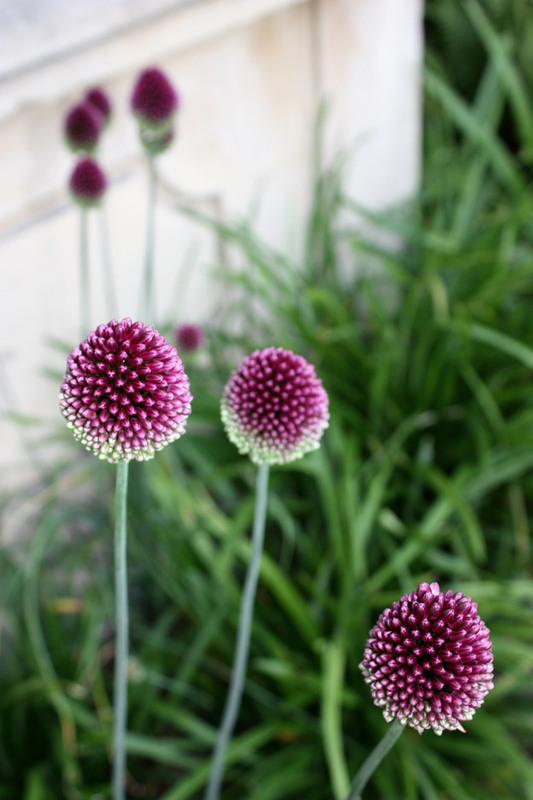 Jo came up with some great ideas and based the planting around my daughter’s favourite colour of purple. The front garden is a huge improvement, a great example of what can be done with just a small space and passers-by often compliment my daughter on it. I have been very pleased with the work Jo did for my family and would have no hesitation in using his services again in the future. Jo’s design for our garden is stunning. Sympathetic with original features, the planting in all areas has thrived and matured beautifully. He has an amazing eye and talent for colour, texture and shape. He was happy to design the hard landscaping and planting in phases as our budget allowed and gave us great advice and support throughout the project over the last couple of years. I have no hesitation in recommending his expertise. Both Jo’s hard and soft landscaping skills are integral to the success of my up market holiday let business. 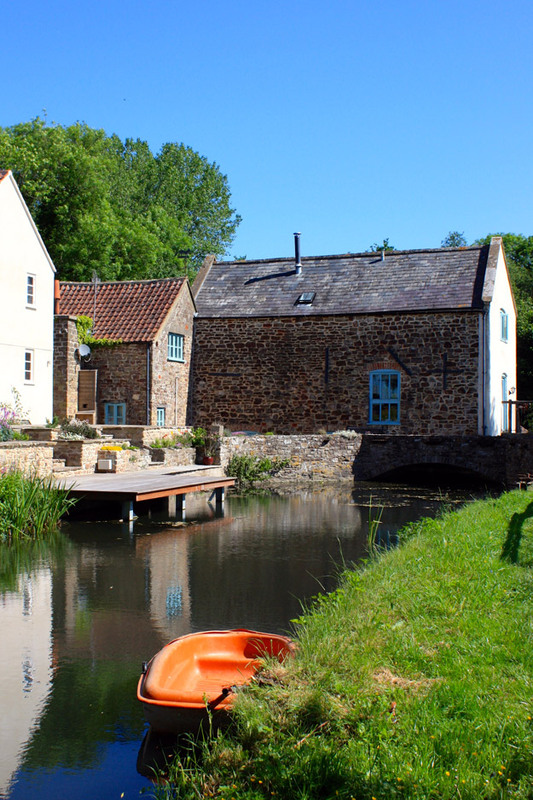 I use interior designers to get the inside of my cottages looking stunning and for me it is equally important to get the gardens and surroundings to have the wow factor and they certainly do. 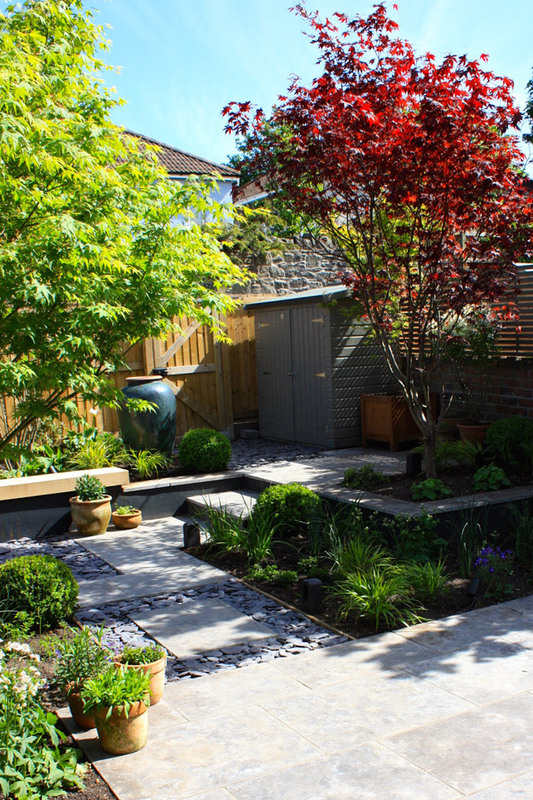 Jo’s impressive ability to understand his client’s perspective and his creative flair equip him well in designing a garden that more than meets expectations. 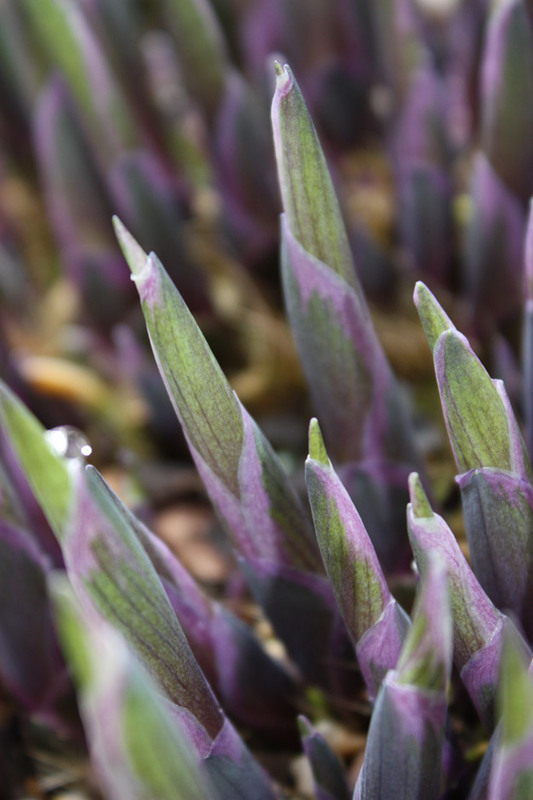 He has a wonderful eye for shape and form, as much as for planting. In our case he came up with an imaginative plan that turned what was effectively a concrete car park into a beautiful garden with a winding path for wheelchair access. 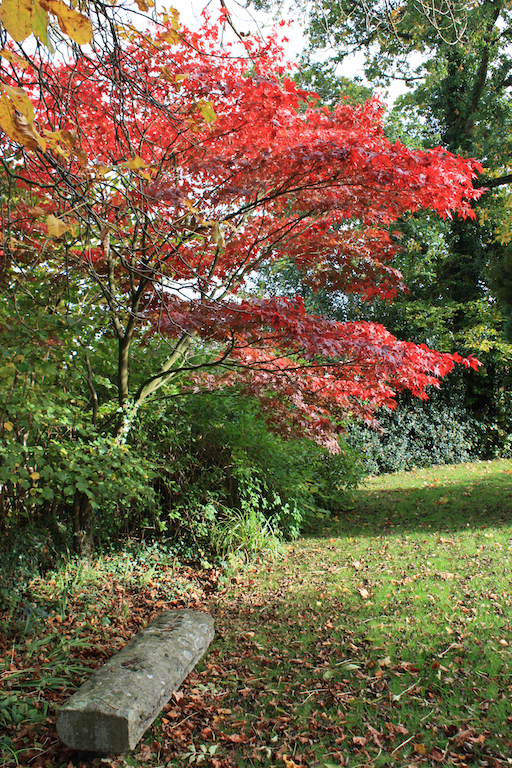 After two years the garden is a delight and has been admired by numerous visitors. 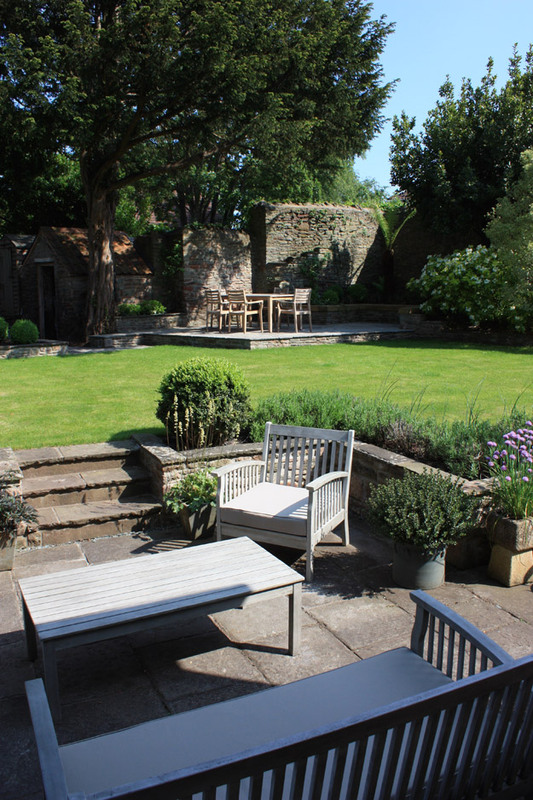 When an adjacent plot of land became available recently, Jo came up with a further design connecting it to the original garden. The unified garden is already giving much pleasure, not least because of his choice of plants, with a wonderful wildflower mini-meadow. We have come to trust Jo’s vision wholeheartedly. The excellent quality of his work is a result of his listening carefully to his client’s wishes and preferences, his imagination, attention to detail and very substantial knowledge and experience. Having Jo keep an eye on the work in progress rather than just leaving it to the contractor to implement his design has also proved extremely worthwhile. Jo is a friendly and understanding professional to work with and we could not recommend him more strongly.